You can select all the drawing layers that are linked to the selected drawing layer, in the Timeline view. In the Timeline view, select a layer that is synced to at least one or more layer. In the view menu , select Edit > Select Synced Layers. 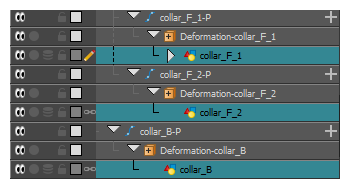 In the Timeline view, all the layers synced to the selected layer become highlighted.